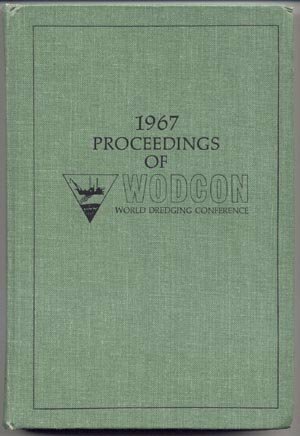 World Dredging Conference, c1967, 725 pages. VERY GOOD+ to EXCELLENT Condition Illustrated Hardcover. This book has name in ink on fep & light wear to book corners. Pages & Binding are NICE & TIGHT! A RARE COPY of the book records of all papers presented at the World Dredging conference in 1967 in New York. Payment must be received within 10 days of the end of the auction, unless other arrangements are made. Buyer pays $5.90 Shipping in Continental U.S. *Checks held till clear. Money Orders shipped on receipt. Buyer Must Request Insurance at Additional Expense. IL residents add 7.25% sales tax.